The 20th century was a remarkably productive one for physics. First, Albert Einstein's theory of general relativity helped us view gravity not as a force but as a distortion of space. Then Max Planck, Erwin Schrödinger and Werner Heisenberg gave us quantum mechanics — and a fresh understanding of the subatomic world. 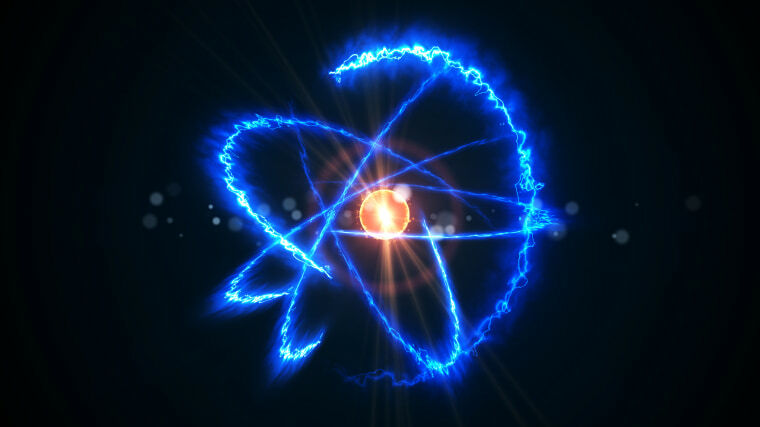 In the middle of the century, two new forces were discovered deep within the atom (the strong and weak nuclear forces). Finally, in the century's last decades, we got the Standard Model of particle physics — an accounting of all the particles and forces known to exist in our universe. But the new century brought a rough patch. Yes, there have been some remarkable findings, including the 2012 discovery of the Higgs Boson and the discovery of gravitational waves four years later. But those triumphs were based on theories developed decades earlier — a full century earlier in the case of gravitational waves. And new ideas like string theory (which holds that matter is made up of tiny vibrating loops of energy) remain unverified. "All of the theoretical work that's been done since the 1970s has not produced a single successful prediction," says Neil Turok, director of the Perimeter Institute for Theoretical Physics in Waterloo, Canada. "That's a very shocking state of affairs." This doesn't mean physicists aren't busy; the journals are publishing more research than ever. But Turok says all that research isn't doing much to advance our understanding of the universe — at least not the way physicists did in the last century. Physicists today "write a lot of papers, build a lot of [theoretical] models, hold a lot of conferences, cite each other — you have all the trappings of science," he says. "But for me, physics is all about making successful predictions. And that's been lacking." The most celebrated ongoing experiments have failed to produce some long-anticipated discoveries. Take the Large Hadron Collider (LHC), the enormous particle accelerator built underground near Geneva, Switzerland. After it confirmed the existence of the Higgs Boson, physicists hoped research at the LHC would quickly yield evidence of supersymmetry, a sort of supplement to the Standard Model that predicts an array of new, heavier particles that correspond to the known ones — but no luck yet. Ditto for the search for dark matter particles being conducted at facilities including the Sanford Underground Research Facility in South Dakota and the Gran Sasso lab in central Italy. No dark matter particles have yet been found. And if string theory so far has resisted experimental verification, the so-called multiverse — the idea that our universe is but one of many and perhaps an infinite number of universes — seems to some scientists more like science fiction than a description of reality. "What does it mean for something to exist if you can't observe it?" asks Sabine Hossenfelder, a physicist at the Frankfurt Institute for Advanced Studies in Germany. "I think that's a discussion that belongs safely in the realm of philosophy," she adds. "People can believe in the multiverse all they want — but it's not science." In a new book entitled "Lost in Math: How Beauty Leads Physics Astray," Hossenfelder argues that many physicists working today have been led astray by mathematics — seduced by equations that might be "beautiful" or "elegant" but which lack obvious connection to the real world. "I can't believe what this once-venerable profession has become," she writes. "Theoretical physicists used to explain what was observed. Now they try to explain why they can't explain what was not observed. And they're not even good at that." Galileo was the first scientist to detail the link between mathematics and the physical world, and indeed all of today's successful physical theories are expressed mathematically. But there are also examples of great thinkers being led astray by math. In the 17th century, for example, German astronomer Johannes Kepler developed an elaborate theory that described the orbits of the planets in terms of the five "Platonic solids" of Euclidian geometry. His hypothesis was certainly elegant, but it was also wrong. Physicists have often sought mathematical elegance in their theories; at the same time, they've been drawn by the closely related idea of simplicity (or economy, as it's sometimes called). Some justify this attraction to aesthetics with references to "Occam's razor," a dictum that holds that when choosing between competing theories the simpler one is usually correct. "We hope the laws that we find will be beautiful," says Frank Wilczek, an MIT physicist who won the Nobel Prize for his work on the strong nuclear force in 2004. "We hope that they'll exhibit symmetry, and that they will explain a lot of things in terms of a few hypotheses — so that you get more out than you put in." But Wilczek cautions that there is no guarantee these principles pay off. Although they have a good track record, he says, "They don't have to work." Wilczek agrees that physics in recent years has seemed lackluster, but he says that's partly because we were "so spectacularly successful earlier on, in the '70s and '80s — which led to such good models of the world that it's been very, very difficult to improve on them." As for supersymmetry and the dark matter particle, he says it's too soon to bury either idea. "Sometimes," he says, "you have to be patient." Turok, too, remains optimistic that a new era of physics may be just around the corner — one that might produce bold new ideas on the scale of quantum theory and relativity. "What we need is for probably some young person to come forward and say, 'Aha, this is the way it all fits together.'"